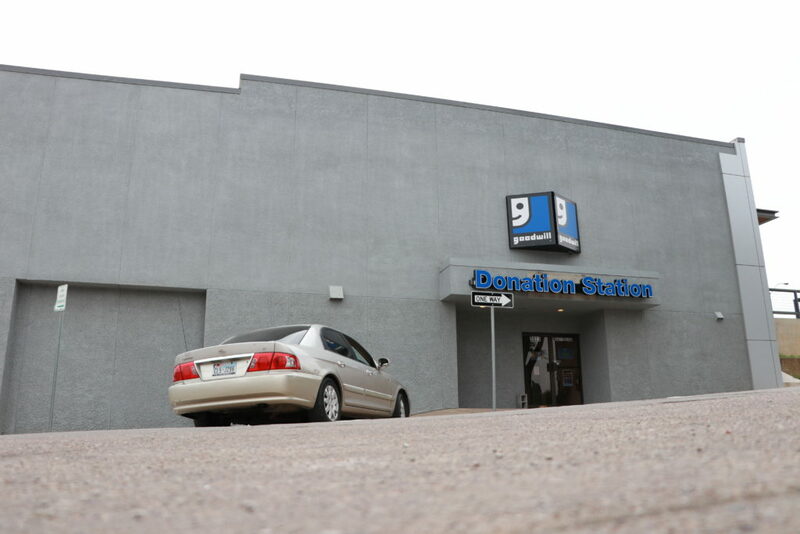 FORT WORTH, TEXAS (July 30, 2018) – Goodwill Industries of Fort Worth, Inc. announced today that the nonprofit opened two new attended donation centers on Friday, July 27 in Fort Worth. A 1,200 sq. ft. leased space located at Western Center Plaza – 2901 Western Center Blvd., Fort Worth, TX 76131, and a 3,671 sq. ft. leased space located off University Drive at 3023 Bledsoe Street, Fort Worth, TX 76107 are now accepting donations. Goodwill relies on the sale of donated items such as gently used clothing, furniture and other household goods, to fund its mission – to provide jobs and job training for people with disabilities and other barriers to employment such as homelessness, lack of education or work experience and our veterans. Last year, 608,456 donors gave 40,766,552 pounds of items to Goodwill Fort Worth, and in turn the nonprofit was able to touch the lives of 9,562 people through job placement and job training programs. The impact doesn’t end there — the planet also benefits when donors choose to ditch the dumpster and drop their items at Goodwill. Since 2011, Goodwill Fort Worth has helped divert more than 82,685 tons of items from winding up in local landfills. Even items that can’t be sold in stores or online are recycled instead of discarded. Goodwill bundles unsold donations for sale in the aftermarket commodities market, including metals, textiles, shoes (paired and single), belts, hats, purses, children’s stuffed animals and soft toys, hard toys, clean plastics, books, digital media, cardboard, wire and cable, computers and printers. Revised donation rules make it easier than ever to donate – Goodwill Fort Worth will accept just about anything, with only a few exceptions due to environmental and safety considerations. Goodwill cannot accept mattresses/box springs, automobile parts and tires, building materials, and hazardous materials including chemicals. Televisions can only be donated at Goodwill’s Fort Worth Campus Drive headquarters, or Fort Worth residents can donate TVs and other e-waste at four designated drop off stations at city landfills that Goodwill helps staff (2400 Brennan Ave; 5150 Martin Luther King Jr. Freeway; 6260 Old Hemphill Road; and 301 Hillshire Drive). About Goodwill Industries of Fort Worth, Inc. Goodwill is more than a thrift store. The largest employer of people with disabilities in the world, Goodwill believes that work has the power to transform lives by building self-confidence, independence, creativity, trust and friendships. Everyone deserves this chance.